Pirelli’s MX Race Service Manager, Roberto Pasquale Sanzone, has been working for the company for twenty years and through various racing disciplines in both cars and bikes. For the last five he has been in charge of motocross and has headed the introduction of the new ‘MX Soft’ product into MXGP; seemingly the tire of choice for most of the Red Bull KTM crew. 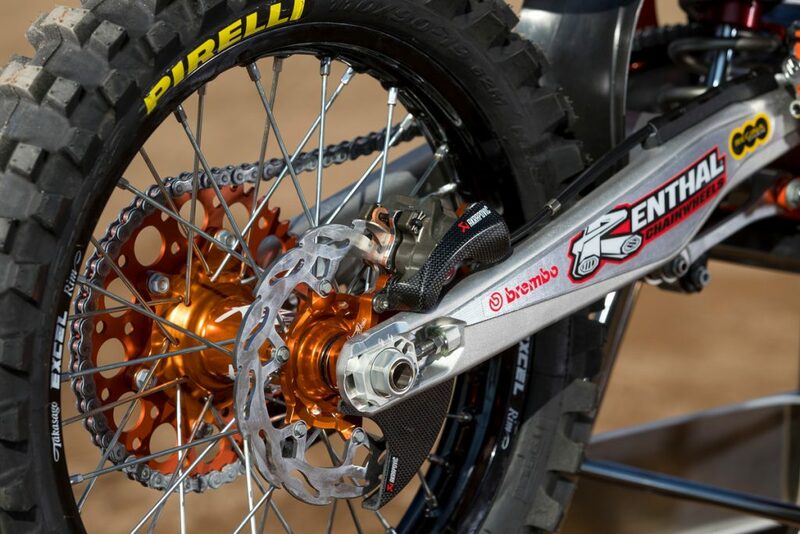 The Austrian factory team is a high-profile sect of the twenty riders Pirelli have in the FIM Motocross World Championship and thanks to this alliance have banked a wealth of victories, podiums and titles since the beginning of the decade. In MotoGPTM Michelin’s efforts form the foundation of every single Grand Prix. The performance of the slick or rain tires is crucial to the sport and even the integrity of the series: in more ways than one the tires are the ‘root’ of the racing. The diversity of terrain and the climate conditions on any given day in MXGP means that grip and traction is paramount but scrutiny of the rubber is not so pronounced. While road racing requires compounds that will function under severe temperatures, weight and abrasion – a terrific amount of force – motocross is almost the same but in a different way: the unrelenting rough ground, the energy on the tread pattern and the hard landings from big jumps. Not to mention necessary efficiency in arguably the most important element of a Grand Prix moto; the start from the metal gate grill. Pasquale emphasizes that “development never stops” but when it comes to testing and analyzing new tires very little happens during the races, infrequently during the year and then only when Pirelli are sure they have a concept that will work. 5. There is no such thing as a ‘special’ MX tire. You can use the same as the MXGP stars.